The most obvious consequence of the WHO’s belated recognition of the fact that exposure to wind turbine noise is harmful to health, is that the wind industry’s victims are in a far better position to sue their tormentors, as well as those who ought to have been bringing them to account. 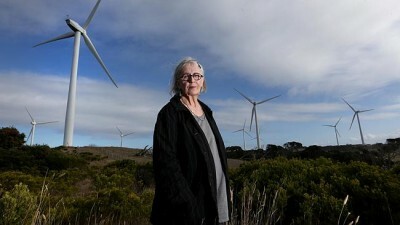 When Sonia Trist, one of Pacific Hydro’s long-suffering victims at Cape Bridgewater, who lives within 640 m of wind turbines told Dyer she was “living a life of misery” as her house was now worthless, Dyer simply told her “to move out”. Dyer made no mention of any compensation for the loss of her home and the value of it, by the way. Apparently, the concept of human compassion and decency is not in Dyer’s make up. Although, as it now appears, self-preservation most certainly is. 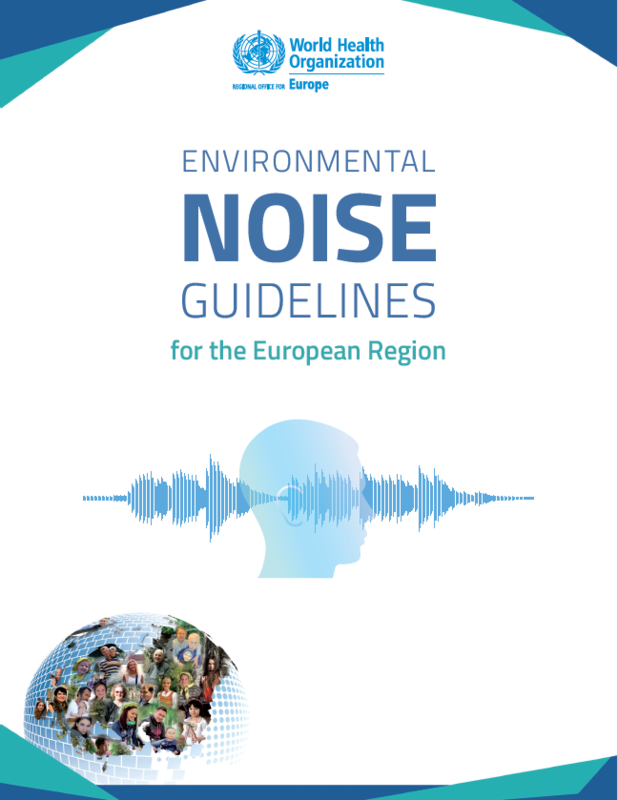 The WHO report is of course good news, however as they have not stated that all forms of ‘noise’ need to be monitored and assessed for how they can cause adverse health effects it is still a waiting game before we can say that people can now consider they will be safe from these things, due to officially accepted concerns about effects on health. What about all those turbines not only existing but preparing to be installed? Will they have to be shutdown or made to meet new standards. Will the level WHO have used take over from the NZ standard we have all had to suffer? Will WHO fund some appropriate research, will they move out of their comfort zone of Europe and look at how noise affects people in places like rural/region Australia. Will they come to accept that noise in these areas is heard and felt more intensely due to the less populated areas with less traffic and other industry disturbance. Will they actually start thinking about this subject in a ‘Wordily’ manner or should they change their title to European Health Authority. They have been informed for years of the problems these industrial turbines cause not only here but everywhere they are installed and its taken them until now to realise they have to say/do something about it. Will the Australian Medical Association now accept they were wrong to state there is no health issues from noise emitted by these industrial Turbines? Will Planning Authorities understand they have to be more careful with what they approve? We can only hope this news from Europe/WHO will spur on not only more Legal Action but a change in how our Governing bodies create policies around energy production. We also need to ensure all those who have been suffering are compensated in some form > have turbines removed, financially for loss of income and amenity and for the harm done by those who called them liars or suggested/stated they were suffering after falling foul of some mystical physiological ailment even though they have never been medically examined by this ailments designer and promoter. And what about an APOLOGY for the harm caused by Governments failing to ensure the safety of their citizens is paramount to the profits of industries, investors and money grabbers. Mr Morrison, you now have a sledge hammer to wield to bring back some sense and honesty to the energy production industry in this Country – start wielding it. For the benefit of those who may not have experienced wind turbine noise near their homes, please find my video link below. Most of the audible noise in the video is coming from the trailing edge of the blades, ripping and tearing the night air. It is a very destructive and at times violent sound. Not natural or pleasant. When you move inside, the higher tones are reduced whilst the lower tones persist. The lower frequencies can travel further into your home. 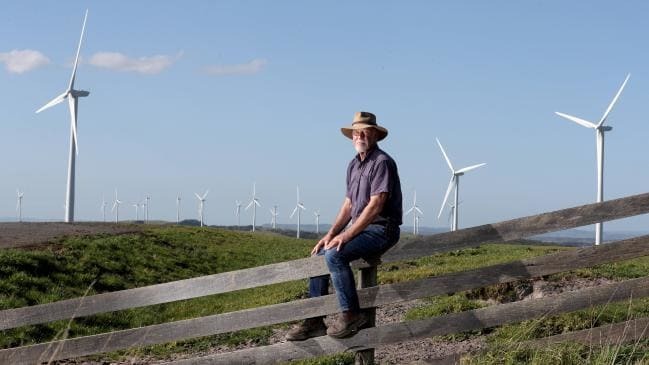 For those who have wind turbines coming to a paddock near you, I suggest you go outside and just listen to the natural sounds of the wind in the trees and the sounds of the bush. The wind is the air conditioning system for the planet, cooling it down. However once wind turbines go up, it will forevermore be a mechanical unnatural sound, a sound that is being interfered with. Wind turbines are massive industrial generators on huge steel towers, not unlike the generators used on the ground at the rear of outdoor concerts or stadium events. Only those are powered reliably by fuel. With wind turbine generators, you have the added noise of blades. These are based on a massively expanded WWII fighter bomber propeller. Think of the Lancaster bomber or Flying Fortress. Hardly a new design. They will feature most of the inherent design characteristics of the propeller like prop wash, vortex ring state and audible noise. But turbine blades are getting bigger and bigger, increasing some of the noise characteristics of the propeller. We are now in uncharted territory. to extract money from air. And bugger the consequences of anyone getting in the way of these developments. To borrow a title from a recent SBS program, these ‘Nazi Megastructures’ are stealing our wind! In response to post by Crispin, I put my sound meter about one half of a meter away from the mobile phone and recorded the sound the results are as follows. RMS Root -Mean -Square – LAeq 55dBA to 60 dBA. Frequencies one third Octave between 1000hz and 3150hz is pulsing between 45dBA and 50 dBA. I have the screen shot as evidence, if you provide Crispin’s email address,bI will forward it on to him. In relation to the post from Ken – We need more than a discussion, we need the responsible authorities like the EPA to get off there backsides and measure the sound correctly instead of doing audits. Heat pumps, air conditioners, and some industrial machines like wind turbines, base predicted sound as being apparent or guanateed sound power levels. This is a misnomer because sound power is dB watts, it does not matter how far you go away from a 1000 watt heater the power stays the same, whether you are 2 meters away or 2,000 mts away. Our telehandler has sound power rating of 105dB LW, wind turbines about 104 -106 dB sound power. Reverse circle air conditioners are rated as being around 66dB LW watts which is sound power. The WHO noise limit is 45 dBA. If the A was put on the dB value to make it A weighting it would be not be compliant. When testing of a wind turbine is being done to IEC 61400 standard, the test results use sound power to indicate that turbines are operational. In the test results the difference between the Wind turbine noise is measured in LAeq to reflect both the Background noise and the wind turbine plus the Background. For testing done for ACCIONA’s Waubra wind farm there is about 14 dBA difference between the turbine noise and the Background, with the turbine operating at about 7-8 mts a second. The sound of the WAUBRA turbine operating with nearby turbines not operating in the test results indicate 54 dBA sound level, minus 2dBA for air absorption. As the Cape Bridgewater Wind turbine is about 500 mts further away than the test results, the sound level would be predicted to be in the order of 52dBA. Therefore at the likes of Crispin’s situation where similar turbines were used, there would be about 12 dBA plus 5dBA for SACs, as they are clearly heard, which equals 17 dBA above the 35dBA limit, which is close to that reflected in the results I have put forward above, as if they do not know? Know this noise very well. We live adjacent to the Gullen Range Wind Farm (GRWF) and hear it often. The closest turbine (POM 1 – we know it well) is approximately 1.7 klms from our residence. 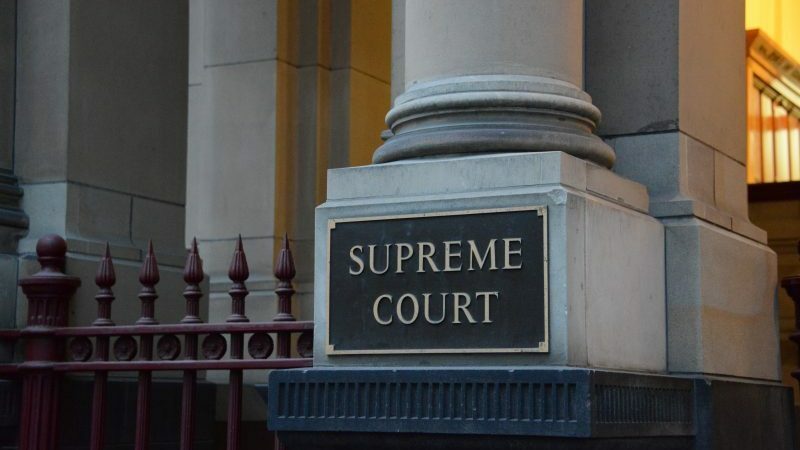 It was moved as a result of an illegal micrositing change, disobeying a NSW Land and Environment Court decision. This week, during Charley’s school holidays, we’ve been out planting yet more trees (200+) to try and soften the look towards the overwhelming turbines, sub/switch station, and help abate the noise. The turbines’ noise in the fields whilst working was loud and relentless. Our property is surrounded on three sides (North/South/East) by GRWF turbines and the switch sub station. The Biala Wind Farm is planned for our Western aspect. Mr Andrew Dyer, Wind Commissioner has attended our home/farm and Charley (owner) took Mr Dyer for a tour of our beautiful property. He seemed to understand, sympathise and utter the right words re compensation and/or acquisition stating he would contact the GRWF and act as an arbitrator in negotiations. This never occurred. Mr Andrew Dyer has not been in contact with us since his lengthy visit. Good PR and a record for his performance appraisal but, sadly, no follow through. We are too exhausted to continue complaining. It’s a waste of our time. No one cares and no one takes action. They just tick off on their bureaucratic check list. Our friend and local Federal Member for Hume, The Hon. Angus Taylor MP understands our situation. We need similar discussion about Heat Pumps, Marijuana Grow Equipment such as fans and air filters, and HVAC systems that are all being located in residential areas. Very important news….all near neighbours to applications for wind farms should quote from this and require developers to sign documents which guarantee that if consented, their health will not be affected. Councillors considering such applications should be given copies of the request and WHO report. I hope that these bureaucrats finally pay for their ignorance and indifference to the plight of the suffering. It is appropriate to treat the WindyC to a right kicking, but who created the position and appointed such a malleable and dodgem figure to the position? Start with Minister Hunt. Commissioner Dyer changing his tune! NOT likely, after what he said about tightening the rules. The Lal Lal windfarm owner had the prediction for noise, done by MDA, peer reviewed by SONUS. The crowd that said if the wind farm emits SACs (Special Audible Characteristics), more commonly referred to as low frequency noise is present, SONUS said to overcome a 5dBA penalty, up to 2/3 of turbines would need to be removed, or the set back distance would required to be doubled. The sound pressure level, when measured and assessed outside within 10 mts of our dwelling, must not exceed the limit of 40 dBA or the background plus,5 dBA, whichever is the greater. At our property, when measured, the sound pressure was between 60 dBA and 70 dBA, when assessed SACs were also present. Therefore, the limit of 35 dBA is exceeded by 25 to 35 dBA. There was a requirement that 50 turbines were to be operated in low noise mode, that made no difference. 50 larger turbines were added that did not have the capacity to accommodate any more than about 2 dBA of the penalty, a dose of about one minute or two gave me a pain in the head, I left immediately. To accommodate one 5 dBA penalty, given the operating sound level was predicted to be 45dBA, one hundred turbines would need to be removed. Leaving only 28 turbines to be left standing. It is highly likely that at least 2/3 of these turbine would need to be also be removed, to accommodate another 5 dBA penalty, leaving up to 15 dBA over the limit on this occasion and leaving only 9 wind turbines left standing. If the doubling of distance of setback of 2km was doubled two times, that would equate to 8 kms, which is the set back we now need to eliminate effects from turbines, as we are affected by low frequency pulsing of high frequency sound at around 7km. I know because I have measured it . . It must be noted that the tightening of rules, when considering the SONUS peer review of Lal Lal Wind Farm predicted noise levels that was audited by the EPA, only revealed a small amount less than 5 dBA by prediction, and this was to be covered by using different operating modes. The Sonus Report used the same prediction method as MDA, which regarded as being inappropriate at a VCAT hearing in February 2009. SONUS and MDA use the descriptor LA90. MDA’s definition for LA90 reads The A weighting NOISE level exceeded for 90% of the measured period. This is commonly referred to as the background noise level. This is the arithmetic average. Using this method lowers the result, because you can NOT average a decibel which is a logarithm reading, arithmetically. The real method of LAeq definition reads – The A weighting equivalent continuous sound level. This is commonly referred to as the average noise level. This is the logarithmic average of a logarithm value. LAeq is used by the Victorian EPA, and also used by Queensland MDA expert for the Mt Emerald wind farm. Evidence provided to the planning minister in 2012 shows this error of judgement could mean up to 25dBA more noise than predicted. Last night on Australia Wide Radio, Mr Dyer praised the Victorian Government on this move. I can assure you that the Wind Farm Commissioner has not changed his ways. Mr Dyer also described how the post noise monitoring plan worked . The noise monitoring plan was not approved to the planning minister’s satisfaction, more than 20 months later. When people had their complaints recognized with outcomes made available except ours. Ours was done by the below mention method, so good if enforced and not done by ACCIONA. It must be realized this plan was approved after the first turbines started operation without any public input or knowledge. It is a requirement of permit Condition 17 that post construction noise assessment program be independent of the operator. Do You think the Complaint Procedure is independent of the operator? The facility’s manager will register each complaint including date, time, description of complaint and associated weather conditions at the receptor. ACCIONA Energy will respond to all complaints by investigating the cause and all potential factors that may have contributed to the area of concern. ACCIONA Energy will investigate the complaint and determine a response within 5 working days of receiving the complaint. The outcomes of the complaint investigation will be communicated to the complainant and a letter sent to the complainant within 10 working days of receiving the original complaint. Nearly 10 years on,still no outcome of complaint investigation and no supporting letter. Records of all communications in regards to complaints will be maintained. The facility’s manager will assess the complaint register on a regular basis as part of the performance monitoring of the project. Corrective actions will be initiated as necessary. In the event that resolution of a situation giving rise to a complaint cannot be reached to the SATISFACTION of the Complainant, ACCIONA will facilitate a dispute resolution process. In late 2011, ACCIONA asked me to put forward a claim. This was done after all our properties were sold. We forwarded our claim, but no response was given. It was important for this claim to be recognized, as to relocate a farm of our size and set up in another area was very costly and monies needed to be borrowed. Last night the wind farm commissioner implied people sold and relocated because they wanted to and NOT because they were forced to sell and relocate to mitigate harm from unmeasured sound that caused harm to many families. It must also be noted that the WFC congratulated me for removing my family from harm. Mr Dyer spent much time telling my wife and I to get over it and move on. We have been vilified in the community, we want moral justice like every other person affected by badly placed wind turbines operating unregulated. If only ACCIONA was true to its word. If only the NWFC Mr Dyer could read. If only the NWFC Mr Dyer Would Listen. If only the NWFC could Speak the Truth . I know it is a long piece. I consider that everybody should know the difference between the post construction monitoring plan and the approved Complaints Procedure. It appears that the proper complaint procedure has been removed by wind farm bullies in recent times. I consider reference to a monitoring plan where it takes forever for the sound pressure level when measured and assessed against the limit, not being done in a time efficient manner is a deliberate act of bullying, using the wrong descriptor. I trust that this post increases the knowledge for those going forward with the hope that justice will prevail in the not too distant future.. Yes Noel unfortunately people subjected to excessive noise don’t have noise averaging systems built into their hearing perception physiology. 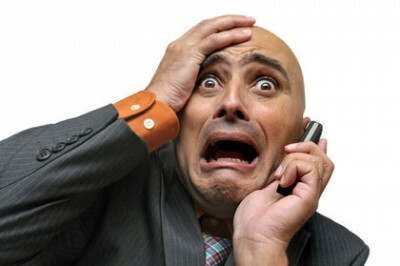 The peaks are perceived as peaks with impulsive sounds being the most distressing to susceptible individuals. And dBA measures only a minuscule fraction of low frequency and infrasound noise pollution emitted by industrial wind power generators. Yes, when will the WHO respond to the research findings of Dr. Mariana Alves-Pereira on LFN and infrasound radiation and the cumulative harm to the nervous system and to the cardio vascular system? In Ontario, we now have four people who have experienced frightening cardiac episodes and have had medical testing to rule out other possible causative factors. These people are willing to show their relevant medical records to our new Minister of Health, Christine Elliot, in the hope that she will order the turbines turned off that are sited too close to their homes. She has been made aware of this dangerous situation. How many other residents are there who have had/are having similar experiences? How many innocent men, women and children are in various stages of this accumulating damage to their nervous systems and their cardiovascular systems from infrasound because turbines are too close to their homes and still running full tilt? Dr. Mariana Alves-Pereira has openly stated that she would not live within 20 km from a wind turbine! If this isn’t a human rights violation, then what on earth is it? With the WHO report out, the goat felt compelled to come back from a self imposed exile. Those literary giants of the twitter world in the Renewable Energy Messiah and the Tobacco advertising guru have been strangely quite in relation to the World Health Organisations findings. I suspect both of these fine individuals were otherwise consumed in booting home Redzel in the Everest at Randwick today before they attend a service at St Patricks at 9am tomorrow.